Hello Linux Geeksters. As you may already know, Calibre is an open-source book management software, with many interesting features including e-book conversion, e-book viewer, library to ebook reader synchronization and support for the most popular eBook formats, including: epub, cbz, mobi, fb2. Being multi-platform, the app works on Linux, Windows and Mac OS X. Make publishers in the book details panel clickable. Fix a regression that caused incorrect results when searching on numeric or date fields with relational operators. DOCX Input: Fix regression in 2.19 that broke handling of text with leading or trailing non-breaking spaces/en-spaces/quad-spaces. Amazon metadata download: Update plugin for website changes to Amazon Brazil. Tag Browser: Fix incorrect grouping of words starting with graphemes, such as ash. Conversion: Ignore incorrectly URL encoded links instead of erroring out on them. 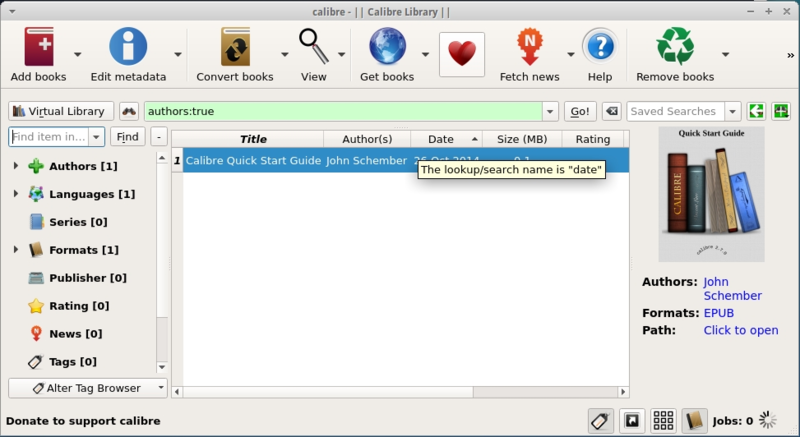 In this article I will show you how to install Calibre 2.20.0 on Ubuntu, Debian, Elementary OS, Deepin, Peppermint, Pinguy OS, LXLE, Linux Lite, Fedora, CentOS, OpenSUSE, Mageia, OpenMandriva, Arch Linux, Manjaro and other Linux systems. The installation script downloads and extracts the latest Calibre installer, and installs the app in /opt/calibre, by default. But the user can easily change the installation destination.